Are you looking for a certified pre-owned Volkswagen dealer near Brick, NJ? Then you’ve come to the right place! At Toms River Volkswagen, we’re committed to bringing you high-quality service. Want to know more? Read on to learn about our certified pre-owned Volkswagen dealer near Brick, NJ, and contact us to start your car buying process! Brick, NJ is a township located in Ocean County. It’s got a population of about 75,000, which makes it the state’s 13th-largest municipality. In 2009, it was ranked sixth on the list of ‘Top 25 Most Uniquely American Cities and Towns’ by Newsmax. It also was ranked the safest city in the country in 2007. Brick has some of the most beautiful beaches in New Jersey, so it’s not surprising people spend a lot of time at the shore. From surfing and swimming to soak up the rays, it’s always a great day to explore the beach, and boardwalk, in Brick, NJ. A day at the beach sounds like a great idea to us, the question is, what car is best suited to your adventures? Let the enthusiastic and professional team at our certified pre-owned Volkswagen dealer near Brick, answer your questions and help you to decide on the ideal car for your needs and lifestyle. Shop our certified pre-owned inventory online today! We want you to have plenty of variety when deciding on a vehicle, so we make sure that we’re constantly updating our inventory with new models. Head on over now to see the latest vehicles in store and schedule a test-drive today. Our priority is keeping you and your vehicle safe and secure on the road for years to come. That’s why we’ve ensured our service center is top of the line! Our expert technicians know the ins and outs of various Volkswagen models, ensuring you’ll always have quality service. And scheduling an appointment for your car has never been simpler. You can just head on over to our online scheduling tool, and with a few clicks you’ll be well on your way to experiencing our personable customer service firsthand. Financing has never been easier thanks to a variety of online tools we offer! At our certified pre-owned Volkswagen dealer near Brick, NJ, we’re committed to making the financing process fast and simple at our finance center, so you can be on your way to purchasing your next car in no time. Find out if you’re pre-qualified in just a few clicks with our online financing application. Just fill out the short, secure form and you’ll be on your way to being contacted by our courteous and professional staff. And don’t forget about the Shop-By-Payment™ option, which lets you view our extensive car inventory by the available payment plans that best suit your lifestyle and needs. It’s a great tool for getting started on your way to finding a great car. 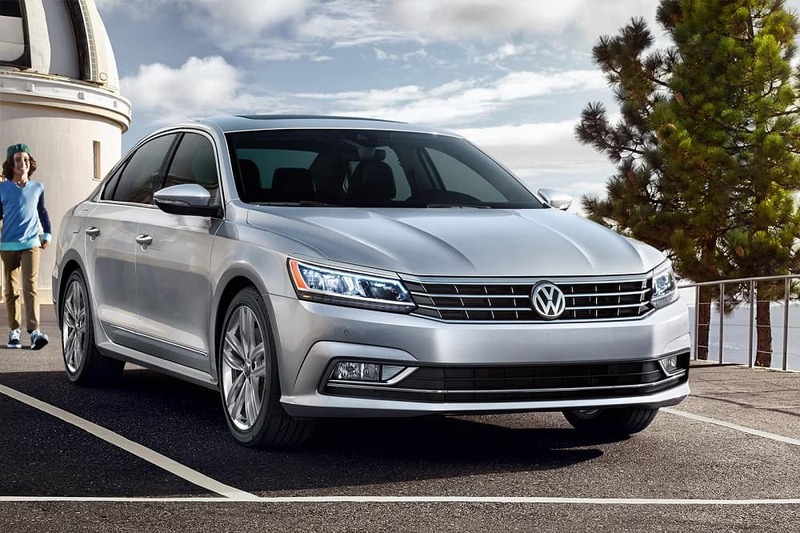 Now that you know all about Tom River Volkswagen and the great services we offer, it’s time to come visit our certified pre-owned Volkswagen dealer near Brick! Head on over to our dealership today to check out our inventory, schedule a test drive, and more! Our team of committed professionals is proud to serve the Brick, NJ area, and we can’t wait to serve you too!